I have been playing the Final Fantasy Tactics app lately and it has made me nostalgic for the Final Fantasy papercraft people used to create 8 or 9 years ago. 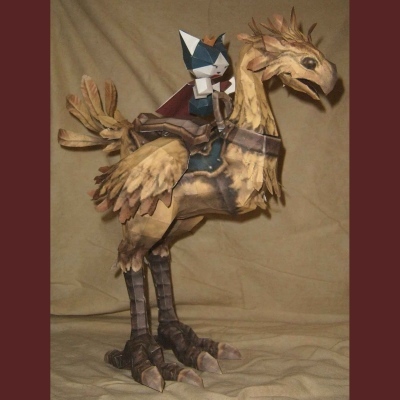 One of the nicest FF paper models from that time period was this chocobo from Final Fantasy XI by Kaizo Papercraft. The Pepakura PDO file is still available here. 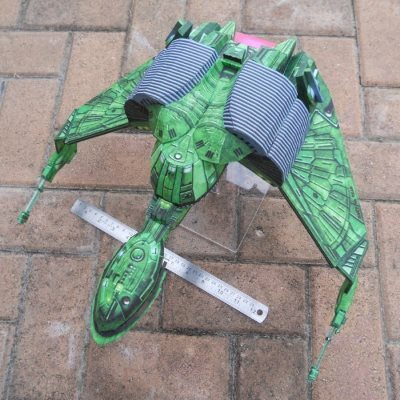 Kaizo never "officially" released this papercraft so the template is really rough and could use some editing, but as you can see, if you put some effort into it, the end result is awesome. By the way, the cat on the chocobo's back is an unrelated FFVII papercraft.